For a limited time, the Nolinski Paris is offering guests a special portrait session package with the famous Studio Harcourt. For more than 80 years, the photography studio's black and white portraits have been celebrated worldwide, with an array of well-known clients including kings, queens, and Hollywood elite. Learn more about the special offer below the photo. *Price includes the session and printing of the portrait. Valid through March 31, 2018. Prestige Sessions provide a unique experience evoking the glamour of the greatest film stars. Sessions include professional makeup and photography, along with an artistic black and white portrait. Guests should contact the concierge via email: [email protected] to check availability and schedule a Studio Harcourt session. Continue reading below the photo. The Nolinski Paris opened in July 2016. 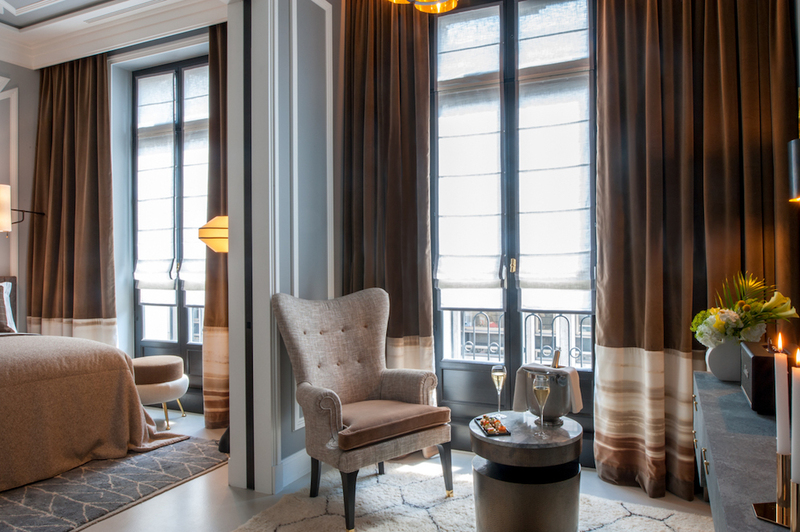 Just a few steps from the Comedie Française, the Louvre Museum, and the Palais Royal Gardens, The Nolinski offers a prime location to discover Paris. From bright, luminous rooms and a mineral spa, to the Réjane brasserie and the hushed tones of the Grand Salon, each space is an invitation to let the senses roam and emotions rise. Five Star Alliance Perk: Guests that book through Five Star Alliance receive a welcome pastry or appetizer, as well as a personalized note from management.